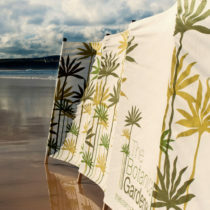 A selection of our case studies that have been printed at our Sedex accredited factory in India. 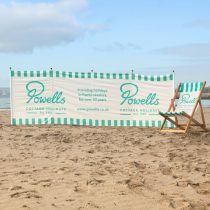 These are examples of what you can achieve with fully custom printed deckchairs and windbreaks made to your exact requirements. 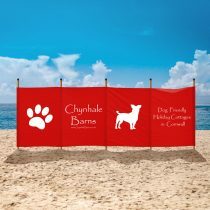 Our overseas printed products benefit from full edge to edge printing making the most of these fantastic promotional tools to advertise your business and/or brand in an affordable and unique way. 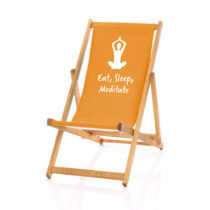 This is our most cost effective solution. 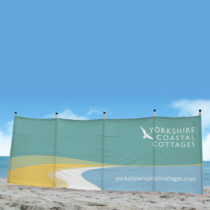 YORKSHIRE COASTAL COTTAGESSouth Westerly Windbreaks produced a large set of bespoke windbreaks for Yorkshire Coastal Cottages. 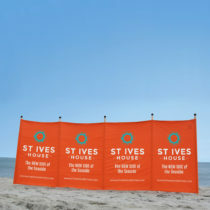 St Ives HouseSouth Westerly Windbreaks produced a bright set of branded windbreaks for the 2014 summer season. 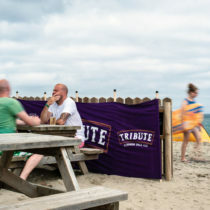 ST AUSTELL BREWERYSouth Westerly Windbreaks designed and produced a set of Tribute windbreaks for St. Austell Brewery. 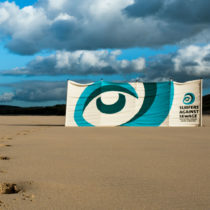 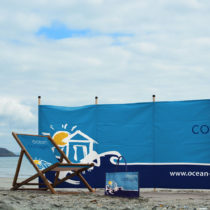 OCEAN COTTAGESSouth Westerly Windbreaks produced a bespoke and brightly branded windbreak for Ocean Cottages. 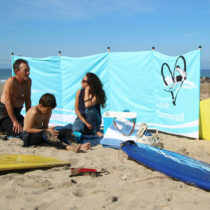 FALMOUTH AND PORTHTOWAN SURF SCHOOLSouth Westerly Windbreaks designed and produced a set of branded windbreaks for the Surf School. 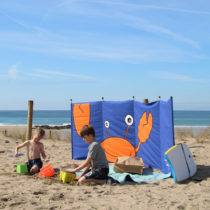 GONE CRABBINGSouth Westerly Windbreaks produced a set of vibrant and very eye-catching fun windbreaks for Gone Crabbing. 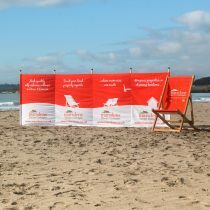 SURFERS AGAINST SEWAGESouth Westerly Windbreaks produced some bright and striking branded windbreaks for SAS. 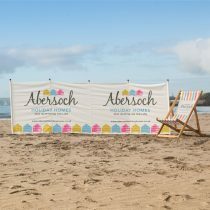 THE BOTANICAL GARDENERSouth Westerly windbreaks designed and produced a set of bright and striking bespoke four panel promotional windbreaks for the team, based upon the company logo. 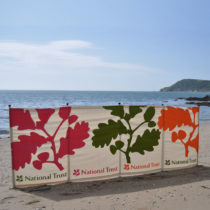 The National TrustSouth Westerly Windbreaks produced a set of beautifully designed 4 panel windbreaks for the National Trust. 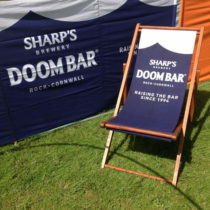 Sharp’s Doom BarSouth Westerly designed and produced a set of bold promotional windbreaks for sharp’s brewery.